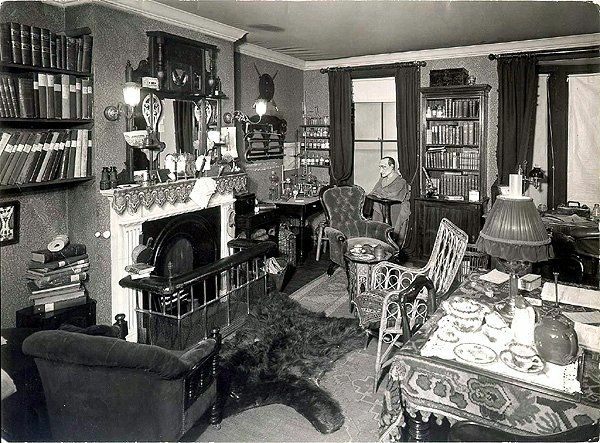 There's quite a bit we know about the inner sanctum of Sherlock Holmes and Dr. Watson at 221B Baker Street. The cozy sitting room with its fireplace and windows at once beckons us in to look around. Upon glancing at the walls, though: what do we see? Is it typical of Victorian bachelor decor? Or is there hidden meaning behind any of the wall hangings? 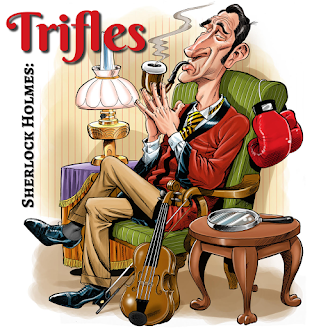 We investigate the trifling matter of the walls of the sitting room at 221B.